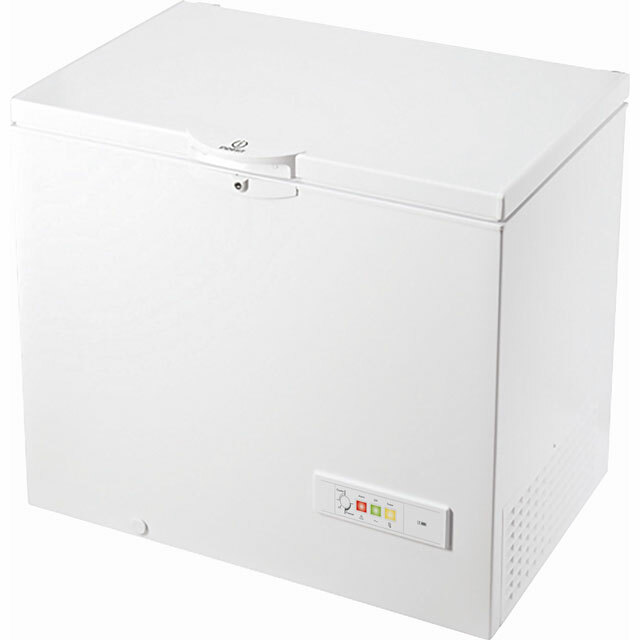 We’ll get your new fridge freezer in place, level the feet and take away all the bulky packaging for you. Unfortunately, our drivers won't be able to fit the handles on your new appliance if they're packed separately. We’ll happily take away your old appliance for you and recycle it. All we ask is that it's disconnected, emptied, fully defrosted and free of any ice and water. The fee for this service relates to the cost of taking your old appliance away on our van rather than the recycling service. 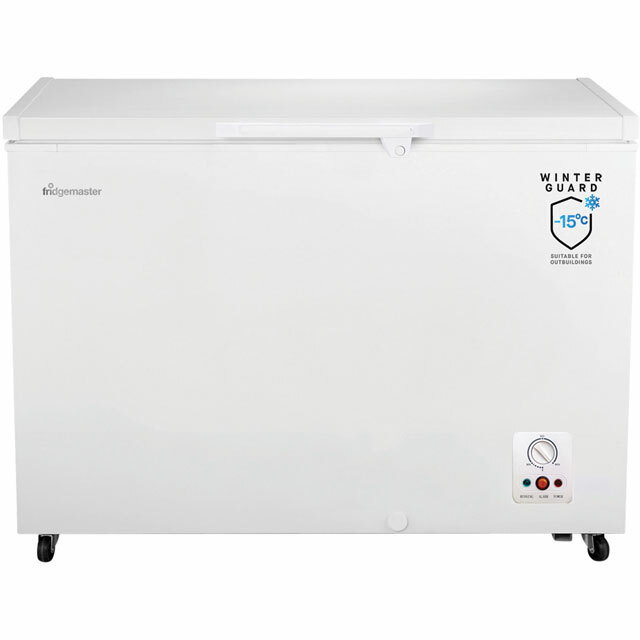 Store your frozen favourites in this Lec chest freezer. With a 249 litre capacity, it can hold 13 bags of food shopping, making it a great addition to medium-sized households. Its A+ energy rating means it’s economical too. You’ll never have to worry about knocking your head, as the counterbalanced lid stays in the same position no matter how high you open it, so you can safely and easily add your shopping. Once everything is put away, the really handy LED display shows the temperature inside, so you know that your food is being kept in the best conditions. 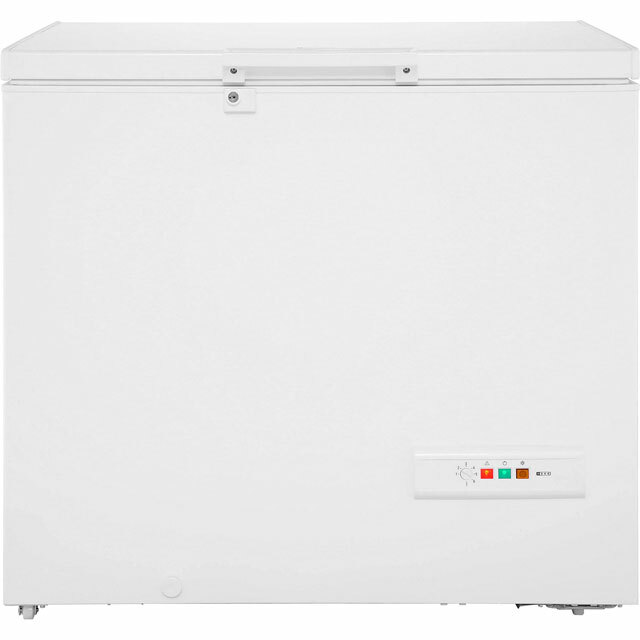 Good size chest freezer with lots of space inside. One small basket inside.. Quite light weight with good hinges and bright light inside. Easy to move, good digital display. 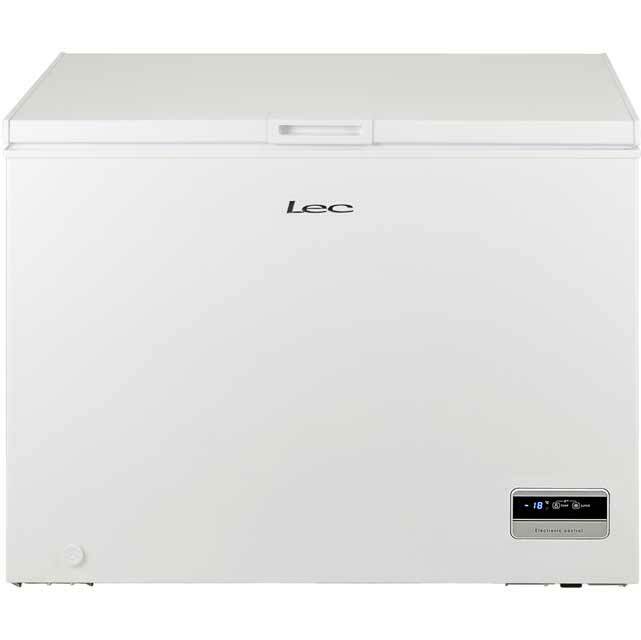 After our freezer died in a recent move we needed to buy a good mid-size chest freezer, and this Lec fits the bill perfectly at 250 litres of A+ energy rated storage. Easy to install and cheap to run, one very happy customer. 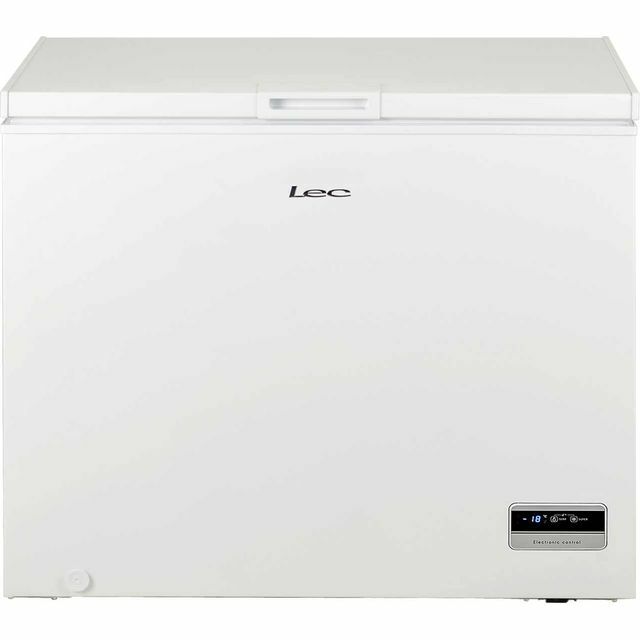 We bought this to replace and upsize a tall freezer as we needed extra capacity due to a growing family. This appliance more than meets our requirements being spacious and able to go in the shed. We still haven't filled it up yet. The options available on the led screen are very good with a fast freeze and refrigerate option. It runs very quietly. The light in the lid is welcome too. It also has a long standby time should the power go out, which will come in handy when the next power cut happens or the trip goes. Very pleased so far - a week in. Great product although still early days. Mid range chest freezer. Very neat and fits the space. So happy to find a freezer with a 600mm depth.